Healthy Eating Facts are the basis for transforming into a Healthy Eater, and that is what we will attempt to do here. Basic facts and tips to help you to become a healthy eater. To be a person who eats healthy, one must first understand what healthy eating is all about. Being smart about food is more than figuring out fat, grams, counting calories or reading labels. Healthy eating consists of eating balance meals, full of the right foods 3 times per day at minimum. People who eat healthy consume various kinds of foods; they do not just eat from one particular group or type of food. It takes a bit a flexibility to eat healthy. People could over or under eat at times, consuming foods that may or may not be nutritious enough. Remember though, your body and brain needs fuel to function correctly, with the right nourishment both can stay strong, and the brain can be more alert. The healthy eater also needs to have certain problem-solving skills. They need to understand how to care for themselves with wise decisions and sound judgment about the foods they eat. People who eat healthy stay aware to the foods they are eating at all times, and understand how their bodies can be affected by what they are consuming. When people cannot get control of what they are eating, other parts of their lives could get that way too. They might talk a lot, overspend, or stay up too late at night. Anyone should know that getting to restrictive with food is a bad idea. Healthy eating should be just part of people’s life, something that enhances his or her life and body. If people want to improve their lives, they need to begin with healthy eating. This makes life so much easier for the people involved and those around them. Healthy eating is based on consuming a balanced diet, which includes food that keeps the body in top condition. People will have the right amount of energy each day with health eating and their bodies will get enough vitamins and minerals they need. This will help them enjoy physical activities more and maintain a weight that is healthy for them. 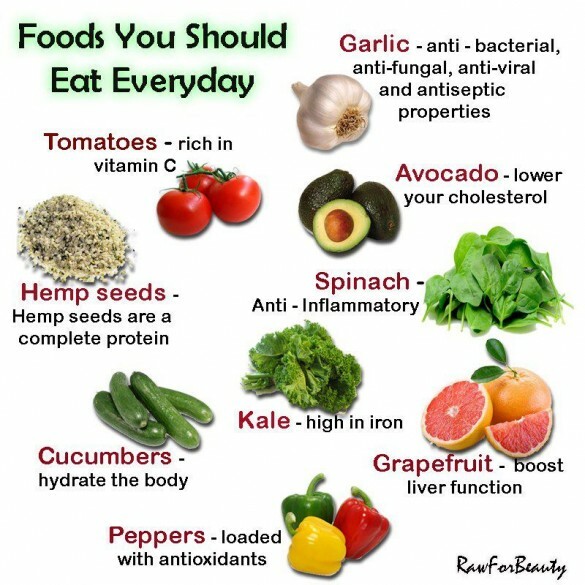 Below are some tips to help people with eating healthy. 1. No one should ever skip meals! It is ideal to eat 3 meals a day with snacks in the middle of them, to keep the energy level up and maintain a healthy weight. When people skip some meals and let themselves become hungry, they are more likely to eat food that are not as good for them. If they are not at home, they should take food along, or eat where they can get healthy food. 2. People need to know about preparing foods. In place of deep frying, they need to stir fry, grill bake, boil or microwave food. They should also use spices and fresh or dried herbs to flavor their food. Before they eat any kind of meat, they need to take the skin off if need be and trim off the fat. 3. Sugar is another thing people need to limit. Sugary drinks are an empty-energy source. This simply means that these drinks give the body energy, but they have no nutritional value. When people drink the sugary drinks they should not overdo, they should only have 1 per day. 4. Keep from thinking about the various diets. No foods are bad foods. No food is better than one. All the various foods out there can be included in a diet that is healthy; they just need to be consumed in moderation. People do not have to purchase fat-free, low-carb, or the so called diet foods, because many times these have other ingredients in them to take the place of fat and carbohydrates.